When I was little, my mom would let me lick the bowl clean after she had mixed cake batter, brownie batter, or cookie dough. Most kids I know licked the bowl clean, too when their parents made sweet treats. I, for one, almost like the dough better than I like the finished product that is cookies. So when I heard that dough was being created with the specific intent of eating it raw, I was intrigued. This sweet stuff is made for eating raw, without the possibility of getting food poisoning! The consistency is exactly like cookie dough for baking and tastes just as good. Mix all the ingredients together, and you’ve got my favorite flavor of edible cookie dough! Cream the butter and sugar together, then mix in the rest of the ingredients. (Add water one tablespoon at a time until it is the consistency you want). Cream the butter and sugar together. Stir in the vanilla extract and milk. Stir in the salt, flour, and cinnamon. Mix everything together in a mixing bowl and you’re good to go! 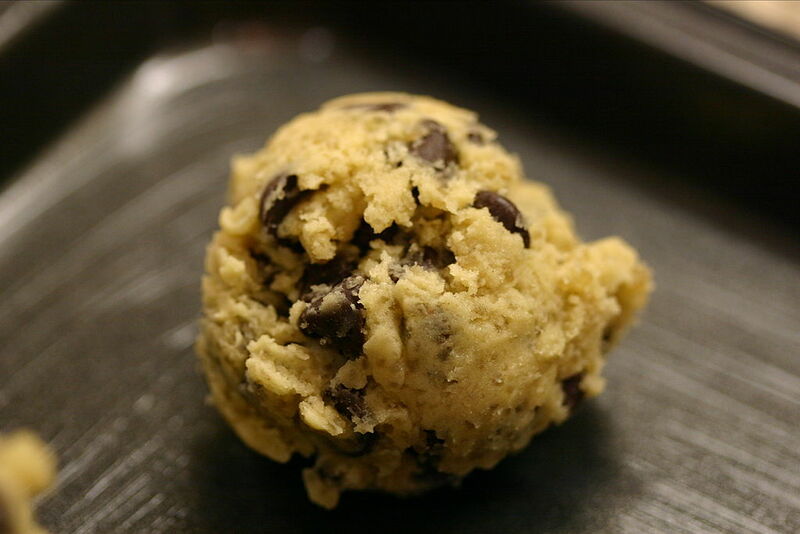 If you have an edible cookie dough recipe that has been a hit in your house, leave it in the comments! If you’re still craving sweet treats after trying these recipes, visit Fill Your Plate to get more dessert recipe inspiration! This entry was posted in Arizona, Dairy, Food, Fun and Games, Grocery, In the Kitchen, Kids, Recipes and tagged Cake, Chocolate, Cookie, Dessert, snack, Sugar, Sweet, Treat. Bookmark the permalink.